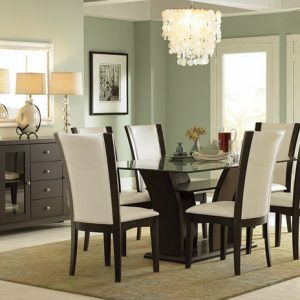 Creating a unique style that blends femininity with gracefully weathered industrial accenting, the Anna Claire Collection provides an unexpectedly elegant addition to a number of dining spaces. 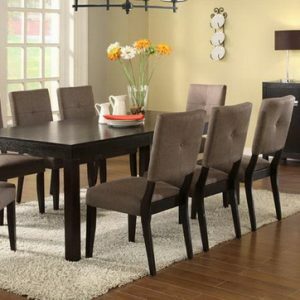 A driftwood finish covers the wood of the two base options; a rectangular trestle table or round pedestal table with a rusticated zinc tabletop that features nail head accent banding. Three chair options are available; button tufted back, curved arm, and nail head accented. Each with a neutral toned grey fabric that compliments the look of the collection.